If you are a designer, you will possibly be spending a lot of time on your computer working through a host of designs. One of the essential tools you will consistently be on the lookout would be the Mouse. You would want your mouse to be ergonomic and user-friendly. Other extraordinary features may not be something you are interested in, but what you would look ahead for is the reliable operation and the ergonomic design that does not need you to get tired using it consistently for more extended hours. 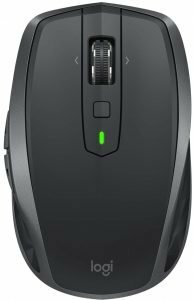 What are the features you need to Look for in a Mouse? A mouse is perhaps the most used peripheral device than any other equipment when you are at your computer. Of course, your laptop comes with a default mouse with it, but why would you use it when you have plenty of options that can be handy and reliable and offer you better features? However, before you buy a mouse adequate for your design requirements, will it not be a good idea to check out the features you need to give thorough attention to? 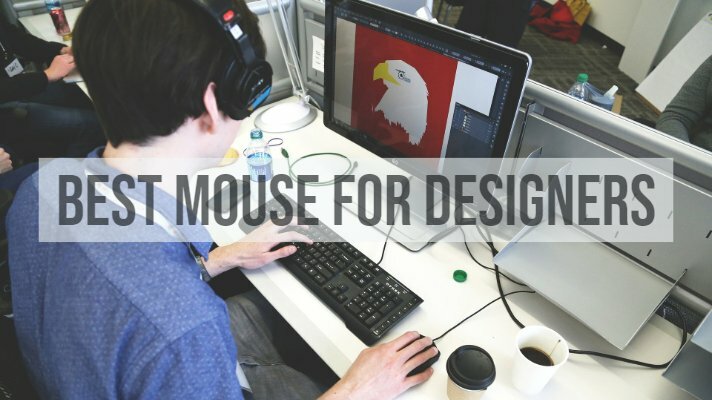 If you are confused as to what you should look for, here are a few parameters that can come in handy enough in choosing the right kind of mouse for designers. 1. Wired Mouse or Wireless Mouse? That should entirely be a personal preference. However, being able to use the mouse without the tangle of wires can be something rewarding for most of us. However, these wireless mice need a lot of charging or battery replacements, and you may suddenly run out of the charge all of a sudden. Some mice come with an on-off switch and can be extremely helpful to save energy and yes, the charge. But frequently using it during your work may not be advisable and you will only be able to switch them off just after completely executing your task. The affordability factor may be another deterrent in choosing the wireless mouse. These come with a receiver for communicating with your computer. Some are available with the Nano receivers, while a few others come with the larger ones. Wireless mice with Nano receivers may be a little expensive. Consistent use of mouse and keyboard has been known to bring in a few huge issues. They can cause hand or wrist pain. Some cases have also been reported where continuous mouse usage has been causing elbow related complications as well. That is precisely where the ergonomics comes into the play. A mouse with a proper ergonomic design should be able to provide you with enough comfort and help avoid situations like carpal tunnel syndrome. However, which mouse type or model is ergonomic to you may not be something that can be categorically quantified. It is something extremely subjective in nature. The best option would be to try them before you can buy them. However, as with most of the electronic items, the Try Before You Buy option cannot be a reality. So, the next best option is to conduct thorough research. Like you are doing right now by reading this post! Advanced mice come with programmable buttons. While a standard mouse comes with two buttons (or at the most three of them) and a wheel, the advanced mice can offer a few customizable options. As a graphic designer, it should be a good idea for you to go for a mouse that has the features that would assist a designer better. This will again depend upon what sort of a designer you are and the functions you are looking for. You can use these additional buttons – called programmable buttons and map them to specific frequent functions. These buttons can be quite handy for use with the tasks that you frequently use. However, check out your working style before opting for a mouse with programmable buttons. If you do not use those extra gizmos, better avoid them. What tracking technology does the mouse you choose make use of? You can choose between a laser mouse or an optical mouse. 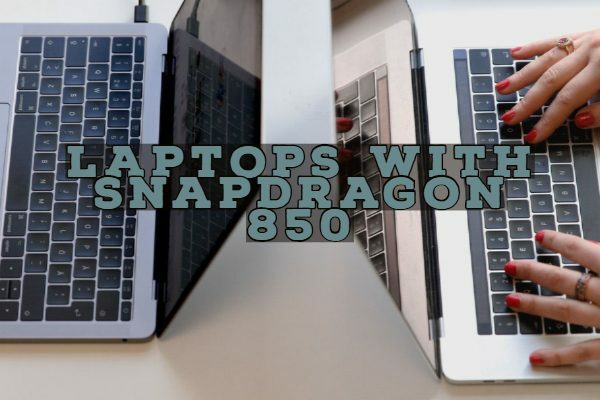 They differ by the DPI count, and you can choose the one that best meets your working style. An Optical mouse has a DPI count of 400 to 800 and should be an ideal option for your day to day activities. However, if you are looking for a mouse that has extra smoothness regarding tracking, you can opt for a laser mouse. They offer you an astounding DPI count of around 2000. While it may not be something you would prefer for regular work, a graphic designer or someone who is involved in an activity where sensitivity and preciseness are essential can go for a mouse that has high DPI count. 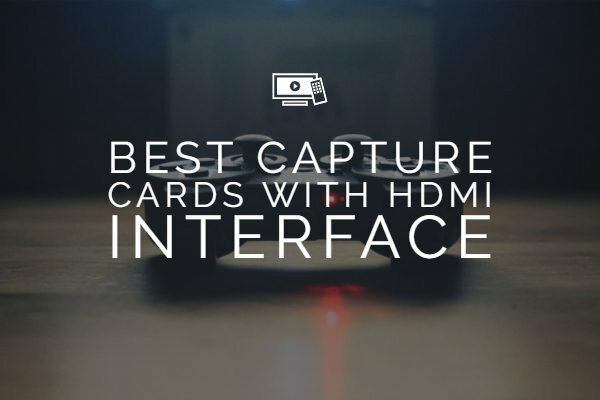 Equipped with all that knowledge that is essential for choosing the best mouse for your activities and tasks, we can now move ahead and list out the best mouse that designers can invariably opt for. We will check out the options you have at your disposal and find which mice live up to the expectations you may have. Before we move on, it should be noted that there is nothing like a one option suits all. The primary need that a graphic designer needs to check out is reliability and ergonomics. As both these factors can be entirely subjective and differ from one person to another, it should ultimately be dependent upon what you feel is perfect. You will find this mouse on any of the lists you will see online for the best mouse for designers. 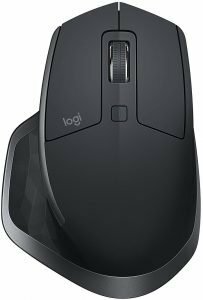 Logitech has been involved in the manufacturing of the most responsive mice, and this one should be the prime options among all designers. One of the highly recommended mice, it has all the comfort levels you may be looking for in your design tasks. The mouse comes under the category of the wireless mice and fits snugly into your hands to provide you a remarkably trouble-free functionality even when using for prolonged hours. The scroll wheel is super responsive and lets you get your work done seamlessly. 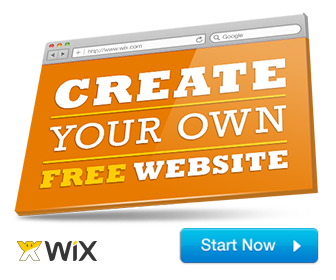 It offers you a cross-computer control and file sharing compatibility. This will mean you will be able to use the mouse with three computers simultaneously and use to share files seamlessly between them with the help of Logitech FLOW. It can work on any surface rather efficiently. The precision sensor lets you use on any surface, and that includes glass as well. The useable battery backup is around 70 days on a single charge, though you can charge it through a mIcro USB port while you are working. The mouse also has programmable buttons and options. A button on the side can be used to switch Windows. You can even customize it to the programs of your choice. A few issues you may come across include hefty pricing of the mouse and a slightly bigger size which may not be suitable for you if you have smaller hands. If those features impress you enough and you want to check it out further, you may do so here on Amazon. If you are using Apple devices, it should double up as an exceptional choice for all your requirements. 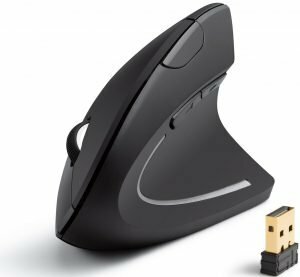 The high-quality precision and aesthetic design are a couple of the features you will find as an exciting option for handling your mouse-related tasks. The laser tracking mouse should be an excellent feature making it a formidable choice. The mouse comes with multi-touch features and functions and should be a great choice like swiping left or right. It can work practically on any surface without any issues. The Apple Magic Mouse 2 also comes with a Mission Control functionality that can be activated with the help of double tapping with two fingers. A lesser number of moving parts will help you with improved durability. The multi-touch feature lets you perform a host of functions through gesture controls. A few minutes of charging provides you a day’s backup, while an eight-hour charge should offer you a month’s battery backup. However, it can be a little over sensitive and may not suit some of us. The touch-sensitive surface can play havoc, but yes, you can turn it off if you are not using it. 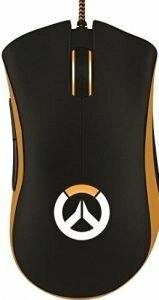 You can check out the features of this mouse at this link on Amazon. 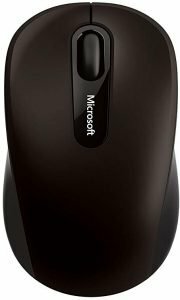 If you are a graphic designer and looking for an option to make a beginning into your startup, the Microsoft Bluetooth Mobile Mouse 3600 Black (PN7-00001) should be an excellent option for your graphic design needs. There are no fancy designs, and it has only two buttons. You also have access to a compact design for the best portable functionality. You have access to a four-way scrolling option for the wheel that can help you navigate up, down, left or right. It does work on any surface without any hiccup, thanks to the BlueTrack technology. The mouse comes with an ambidextrous design for those who tend to use both hands. The wireless mouse offers you a wireless range of up to 32 feet. If you use it in an office environment, you will get an average wireless range of up to 16 feet. A single battery should provide you a backup of up to 12 months. The mouse comes with basic functionalities and thus may not be a favored option if you are looking for the advanced features. You can find more about the wireless mouse from this link on Amazon. 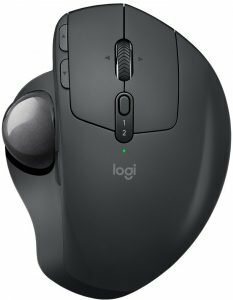 Another excellent offering was coming from Logitech, the Logitech MX Ergo Wireless Trackball Mouse should be an excellent option for most of your requirements as a designer. The looks can be deviating, as it looks utterly retro in style. But the design has been illusionary because of the presence of the trackball. The sculpted design is what would make it an excellent option from an ergonomic point of view. It can help you achieve a comfortable positioning of the hand and a reduced strain on your muscles. Cross computer control is yet another option, possibly one of the characteristic features you would find on a high-end Logitech mouse. The cross computer control should make it possible to navigate across two computers simultaneously. You can copy paste and edit files across the machines using the Logitech FLOW. The rechargeable battery offers you 70 days of backup on a single charge. The precision scroll mechanism on the wheel will help you go for the perfect scrolling for enhanced performance. The next generation multi-device trackball is indeed the first of its kind. The trackball is adjustable with a hinge that helps you adjust it by 20 degrees. It also comes with customizable buttons and Logitech FLOW control mechanism. A few shortcomings include the lack of a left-hand usage option and limited tilt functionality. If you want to give it a try, you may check it out here on Amazon. The design may look quite awkward, but the mouse lives up to what is expected of it. Extremely affordable pricing, the Anker wireless mouse offers you a neutral handshake styled design provides you exceptional performance regarding ergonomics. The ergonomic and wireless design makes it an extremely comfortable and compact to carry anywhere you want it to – without having to worry about tangling wires and cables. If you already have RSI or Repetitive Strain Injury or wish to avoid it, this can be a good mouse option in that direction. You have a total of five different buttons for enhanced performance – scroll left and right click as well as the next and previous buttons. The mouse is compatible with Windows 10, 8, 7, Vista, XP and 2000. It also supports Linux and Mac OS X. The previous and Next buttons do not work with Mac, and that can be a concern if you are a Mac user. If you find the mouse a formidable option for your requirement, you can check it out on Amazon. If you do not want to go with the Logitech MX Master which is the flagship option from the company, the Logitech MX Anywhere 2S can be a formidable choice. The travel mouse should be a good alternative if you are someone who is always on the move. The cross computer control option with access to three computers simultaneously should be one of the prominent options. Use Logitech FLOW is what will make it an excellent choice for a useful file sharing. The Anywhere functionality is what makes it an extremely viable alternative for most of your needs on the move. The Anywhere branding should make it a mouse suitable for working on practically on any surface including glass. Four minutes of charging should provide you a full day of functionality. A single full charge will give you over 70 days of backup. 4000 DPI makes it a formidable choice. The ergonomic design may not be at par with the rest of the mice in this list, but if you are looking for a mouse for the traveling needs, it can be your best bet. If you are impressed with the mouse and want to give it a try, you may check it out on this link on Amazon. It is a real workhouse and perhaps the only mouse in this list with wired connectivity. If you have been using computers for over a decade or more, you will go nostalgic with the Intellimouse from Microsoft. The mouse does not come with a flashy design but focusses on an exceptional functionality. The looks are retro and classic and bring about nostalgia to the core, but the functionality has been improved by manifold. The classic design has been modernized, and there has been a lot of improvement regarding sensor capabilities. The mouse is genuinely an ultra slim and lightweight that enhances its portability and handling. The plug and play functionality with the wired connection should make it a great choice. It may not be a wireless mouse, but will indeed meet most of the requirements packed in an ergonomic design that makes working with it endearing. Equipped with an extremely high-end DPI count of 10000 DPI, the Razer DeathAdder Chroma Overwatch Edition gaming mouse meets the needs that designers have – accuracy and sensitivity. Though the mouse is specifically designed for the gamers, it doubles up as an excellent option for the designers given its precision. One of the most responsive options, it offers you three specific sensor options – dual, laser and optical. One of the best concerning ergonomic design, you will find it to be a good option to fit snugly into your hands. It comes with an optical sensor and rubber side grips. It also offers you a cloud storage option for your settings. The mouse comes with an Ultra-Accurate Optical Sensor Powered With Advanced Tracking Analytics. You also have access to Chroma lighting with 16.8 million customizable color options. The lights may be a good option for the gamers, but designers may find it a little out of place and gimmicky. If you think you should give this mouse a try, you can check it out on Amazon. Picking a perfect mouse is like choosing a shoe. You never know how you will feel while using it. That would be all the more important if you are considering a mouse that has a highly ergonomic design as you cannot check it for a first-hand experience when buying the mouse. 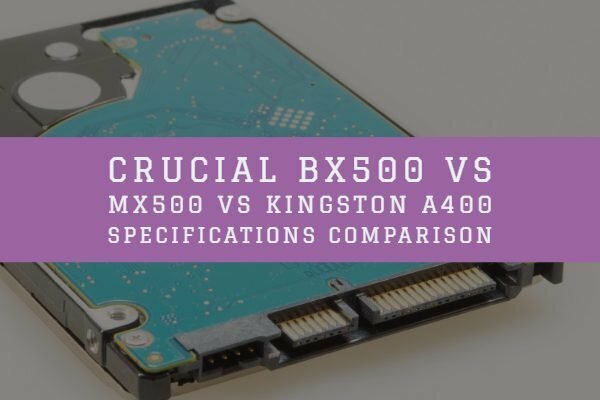 From that perspective, we would assume that the list of the best mice for the designers as indicated in this compilation should meet most of your requirements. One of the best options is to go through a lot of reviews before you finalize a mouse that exactly meets your needs. If any of your friends or colleagues have the particular mouse that you are planning to buy, it can be a great idea to check it out for getting a feel of how it works. Have you used any of these mice listed herein? If you have, why not share your thoughts and experiences with us?